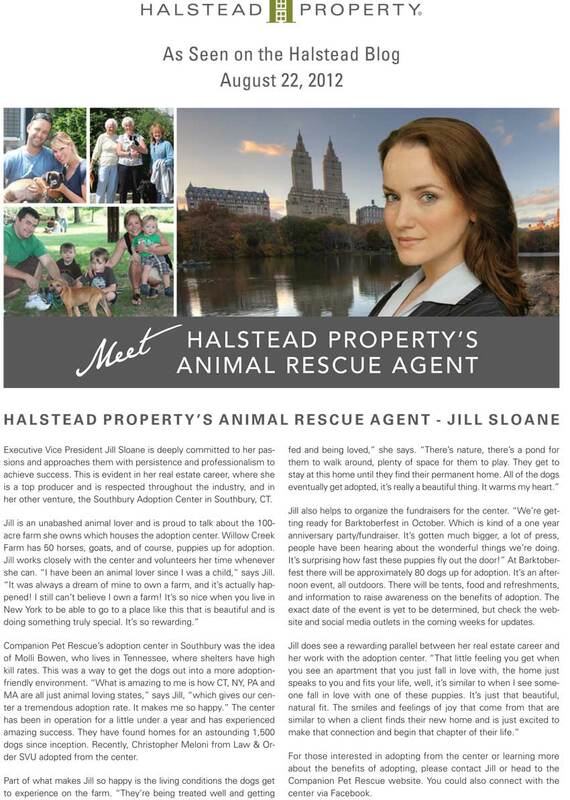 This is a recent article about my passion for saving puppies - below are other nice real estate related pieces, just click for the full article and thank you for visiting my site! By Jenn Gumbel and Venus Wong "Building my business from the ground up and achieving my goal of being Halstead's top broker- twice!" 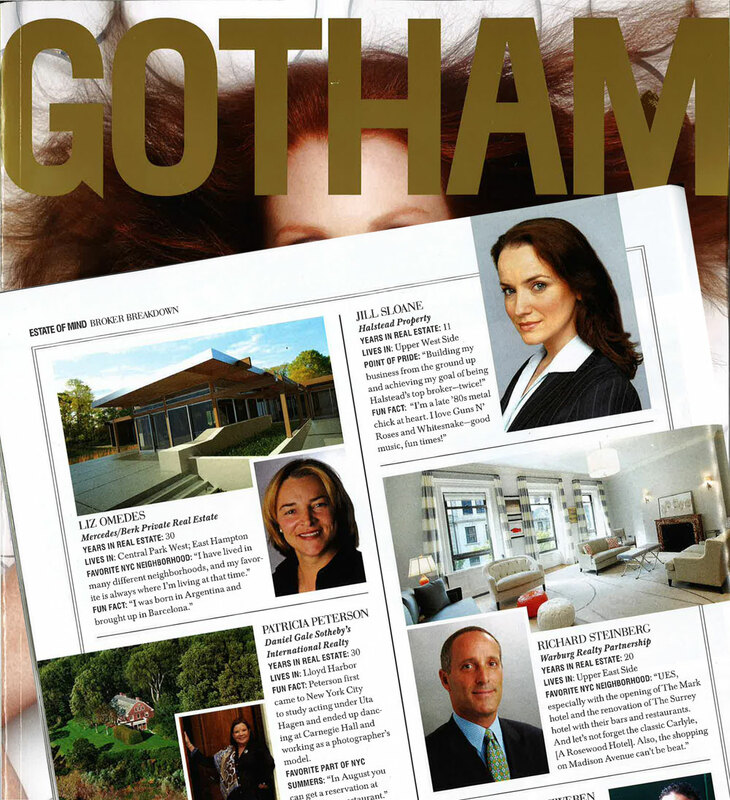 Developer Ben Levine, fashion photographer Ben Baker and host/co-broker on the property Jill Sloane. Danusia Cameron of Morris Forester, Michael Rovner (co-broker on the property) and journalist Peter Hyman. Michael Goldeneberg of Halstead Property on the left.